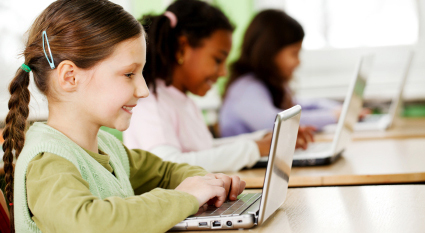 Individualized on-line tutoring is designed to narrow a student’s learning gap and help the student reach his/her appropriate achievement level by designing and implementing an individualized learning program that fits his or her needs. Before entering college and taking the CPT, One on One Learning recognizes the importance of reinforcing basic skills needed to prepare them for success in their college years. By identifying a student’s weaker areas, we are able to quickly remediate their needs and provide a smooth transition between high school and college. One on One Learning also focuses on building effective study skills and time management techniques both of which are essential to the success of any college student. Scoring high on standardized tests like SAT/ACT and other tests such as the ASVAB and TABE are important for the future of high school students. Because of this, One on One Learning has designed an Individualized SAT/ACT tutoring program to help students succeed on these tests. Each program is individually based on the evaluation administered to the student, which identifies their strengths and weaknesses. Credit Courses (6-12) offer virtual classes that a student can take online for credit. These courses fully online (no downloading or installation necessary) and are designed to be completed in one semester. They are available to the student at any time of the day. Each Credit Course typically includes four units of instruction. Lessons within each of these units may contain activities in web-based inquiry, Power Point and/or video presentations, and I-text interactive materials. The lessons take two hours to complete and can be broken down into sixty minute sessions each day. The courses include four mid-unit quizzes, unit exams, and a cumulative semester assessment.